New Melbourne Browncoats, Inc. | Adam Baldwin is at Supanova in Melbourne today! Plus, more prizes added for our Trivia Competition! Supanova Melbourne begins today! Are you looking forward to meeting Adam Baldwin? Yes? So are we!! MORE PRIZES IN OUR TRIVIA CONTEST – ENTRY DEADLINE EXTENDED! Have you entered our Adam Baldwin Trivia Contest? So far, the questions seem to be stumping you all, so we’ve extended the closing date to 11pm Monday 15 April (so you can ask Adam if you need the extra help). And we’ve added some extra incentives… MORE PRIZES!!! 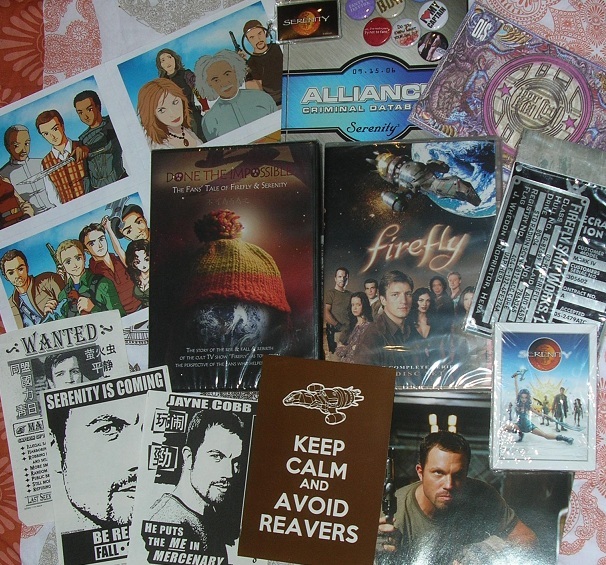 Check out this stack of goodies you could win! !